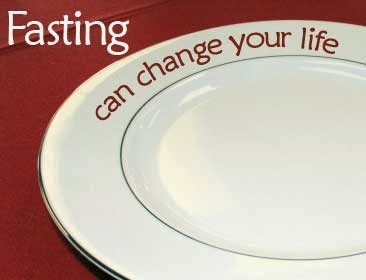 Fasting is the next part of making a change in ourselves for Lent. The first thing that comes to mind when we hear fasting is in regards to food. As a Catholic, I know we are to fast on Ash Wednesday and Good Friday. That means one meal or two small meals. It is amazing to me how many people do not even try and do this. Yet, people will try the new fad diets without even blinking and eye at it. When we fast we are to reflect on all the things that Jesus gave up willingly. It is offering up what we are fasting from. The act becomes both a physical sacrifice and a spiritual on as well. Where in this case we are removing ourselves from a want, a desire or a physical comfort. In tomorrows Blog I will explore other avenues that we all can take when it comes to fasting that will both involve and not involved food. There can be either a good fasting from both good and bad habits. Fasting can change us both physically and spiritually. Until tomorrow, God Bless, and may we fast in this life to gain spiritual growth.